Then it would come down to a fair use policy.. I can understand why unlimited 3g/4g is unsustainable, all the torrents will probably come close to crashing the whole Cellular network, not to mention the data costs. I doubt that browsing, and Unlimited Facebook access, will severely impact on the network overall, and Steve brought it up, if not done correctly it could essentially lose the carriers money, as people will deliberately run their phones into the ground, just for free data access. I say, fix it, and remedy it by adding it as a monthly addon, whereas if people run out of credit essentially it's already paid for. As the ones who would usually utilize the service, are the low end consumers anyway those who know what they are doing, and need faster internet ie the business people etc, already have contracts so it's not needed..
Would it not be possible to balance the load, where as if the cell site is too congested, the 2g data is further regulated, although in theory it seems plausible, costs may seem too high, users can't really complain, as just stick it in the Ts and Cs.. I cannot see unlimited 3g/4g happening at a cost friendly level. Radio frequencies are a scarce resource and making data free would simply overload the available capacity. Pricing is a tool that wireless providers can use to to help manage this scarce resource (and make a profit too of course). No, it was definitely in 2007. I was in Wellington at that time. I can understand why unlimited 3g/4g is unsustainable, all the torrents will probably come close to crashing the whole Cellular network, not to mention the data costs. I doubt that browsing, and Unlimited Facebook access, will severely impact on the network overall, and Steve brought it up, if not done correctly it could essentially lose the carriers money, as people will deliberately run their phones into the ground, just for free data access. I say, fix it, and remedy it by adding it as a monthly addon, whereas if people run out of credit essentially it's already paid for. As the ones who would usually utilize the service, are the low end consumers anyway those who know what they are doing, and need faster internet ie the business people etc, already have contracts so it's not needed.. If only mobile carriers had a separate frequency set aside for Data, and Voice, like ADSL is... What do you guys think? The problem is that there are alot of mostly embedded devices such as GPS tracking units and smart power meters. (And probably mobile EFTPOS as well) That use 2G data. They don't need much bandwidth / data. But still need reliable connections. It's very obvious you've never used a mobile network in the US. It's just so incredibly frustrating with such poor performance. I have. I was on AT&T all of 2010 for a good 2 weeks. It was pretty fast and satisfying. Of course I only checked my emails and facebook and uploaded a few photos. I didn't mind waiting at all and it was fine. 2010 is a long time ago. Your experience is clearly quite different to mine where multiple visits to the US each year are met with constant problems with poor or non existent data throughput and fairly regular issues with coverage and capacity, regardless of the network. I'd far prefer a NZ network any day - and the pricing of our plans is now far better value than many in the US anyway. 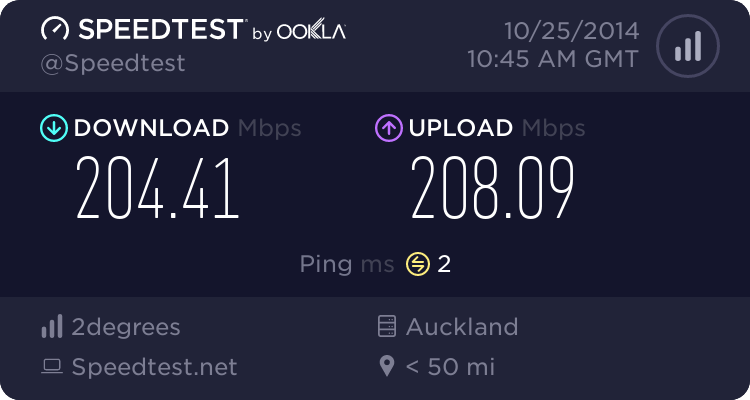 I spend hours talking to plenty of mobile and MTM guys at a conference last year who simply drool when you tell them that getting 200Mbps + on a real world live cat6 network in NZ (such as Vodafone) is an every day occurrence. These guys were getting excited when they could get 5Mbps on a speedtest and in many big cities suffered from terrible QoE. 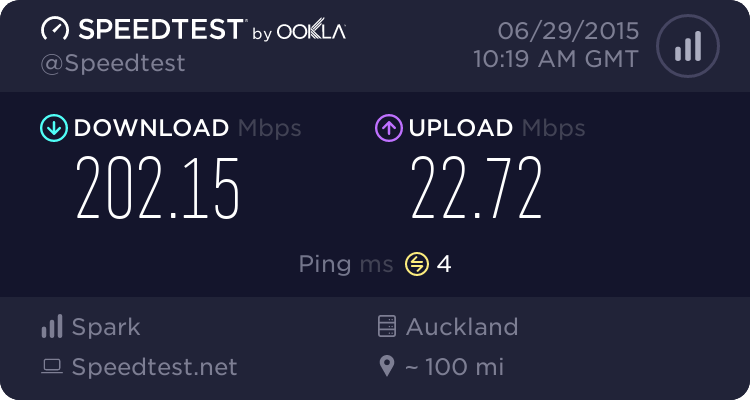 Yes not all US networks are bad everywhere, but NZers just don't realise how vastly superior in general their mobile networks are, and I don't want my QoE experience (which is far more important than speed anyway) hampered by networks overloaded because people want unlimited data. Spark would have a problem falling back to 2G. In rural areas there may be issues where there is a single tower covering a wider area and if its used for RBI they won't want any slow speeds (places that have popped up here often are Ohakune and Martinborough). 4G would help with getting requests though quicker though and with anything there is usually a mad rush at the start and then calms down once it becomes the norm. I miss my T-Mobile UK plan, it had unlimited data with a cap of some sort ever month but I never reached it. The last time I was there I paid 20 pounds for 6 months of mobile data and did not reach the cap and that was including downloading podcasts, maps, apps etc. Don't ever remember having performance issues, but if you ran out of coverage there was usually plenty of free wifi around. If you ever tried to tether to the device you would get a speed worse than dialup. I can't find the T&C for T-Mobile as since EE took over the site is a mess but Three UK has the following T&C and with there plan in certain countries (including NZ) they can roam at no extra cost and still use their data. All-you-can-eat data is part of some of our latest Pay Monthly and SIM plans, as well as some older Pay Monthly plans like the Ultimate Internet Plan and The One Plan. It's also available with our All in One 15 and All in One 25 Add-ons on Pay As You Go and some Talk and Text plans. It gives you all the internet use you need when you're in the UK and up to 25GB of data for internet use when you’re in a Feel At Home destination. With all-you-can-eat data you can use as much data as you want. This means you can use your smartphone as you like - so you can download apps, browse the web, look at maps and check your emails as often as you like without worrying about going over a data allowance. TrafficSense™ applies to all our plans. Find out how we use TrafficSense™ to protect your experience. All-you-can-eat data can only be used abroad when you’re in a Feel At Home destination, and is limited to 25GB of data use. If you’re on a plan which allows Personal Hotspot use, this isn't permitted in a Feel At Home destination. Find out more about Feel At Home. If you use data abroad, and you’re not in a Feel At Home destination, or if you're in a Feel At Home destination and have used your data allowance, you’ll be charged for it in accordance with the relevant roaming rates. Find out more about data roaming costs. All our current plans include a Personal Hotspot allowance, but it's not included in your all-you-can-eat data allowance. Find out more about Personal Hotspot. All you can eat data gives you worry free internet use. Even if you used your phone for every minute of every day you could only use, subject to TrafficSense™, around 1000GB each month. We may use this cap to identify inappropriate use of the service, such as commercial use, which isn't permitted under our terms and conditions. When T-Mobile offers you "2G speeds" it's still over whatever network your cellphone connects to -- 2G, 3G, or 4G -- they just throttle you somewhere else in the network. So unlimited "2G" is actually just ratelimited 3G/4G most of the time, not something that forces you onto an old, overloaded 2G network. In the USA, they are moving away from unlimited plans now - and the MNVO's that are still selling them are constantly reducing the coverage areas. I like the Spark alternative, WiFi hotspots and currently 1GB daily data. Doesn't kill the Cellular network and provides data flexibility. Among other things, it means that the 'Here Maps' app is not terribly useful when out driving. Maps are very slow to load if you haven't downloaded them first. 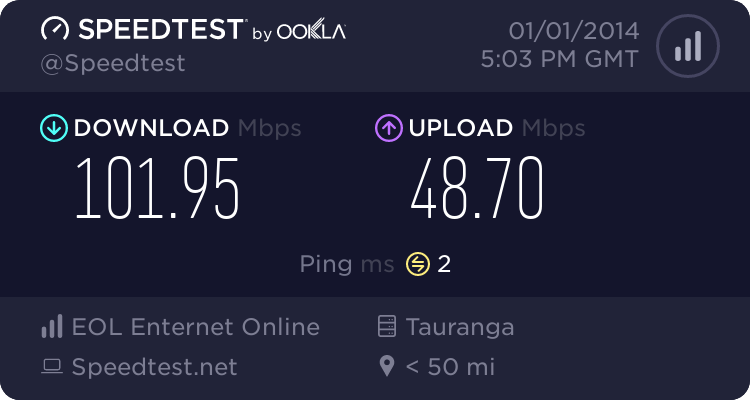 With a lag time of 700ms, it's as though the data packets are going through the nearest Vodafone cellsite, back to the USA where the speed is throttled to 128kbps and then back to NZ again, via the cellsite to the phone. What a lot of effort and expense for T-Mobile to go to, all in order to restrict the connection speed according to the T&Cs for their 'Unlimited' plan.